Bob and Patricia Kelly of West Newbury, MA, opened White Gate Christmas Tree Farm in their backyard over 30 years ago. Since then, White Gate Christmas Tree Farm has continued to be a family tradition for not only the Kelly family, but for families throughout the area. 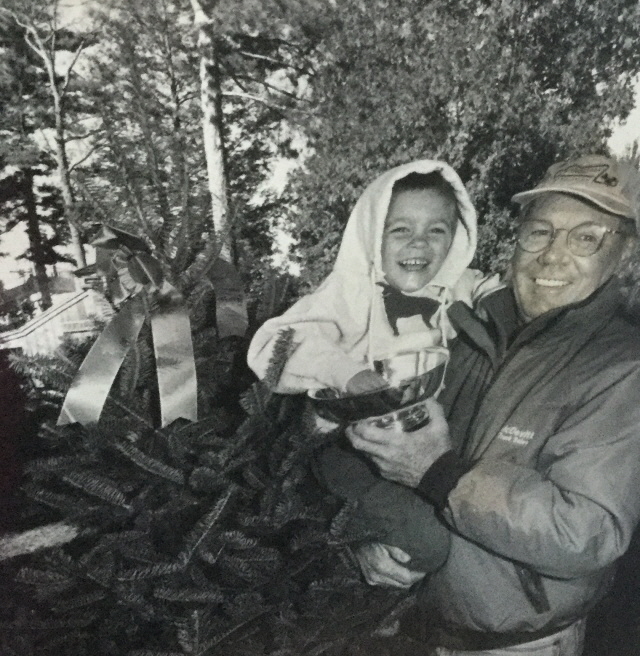 Although Bob passed away in 2003, his legacy lives on at White Gate Christmas Tree Farm. Bob Kelly with grandson, Christopher Johnson... and best Christmas tree at the Topsfield Fair!